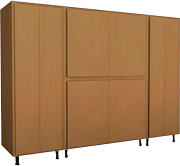 Do it yourself garage storage and home improvement made easy! 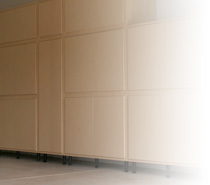 Our cabinets, closets, and coatings are quite simple to apply. We offer systems and storage cabinets in many DIY configurations, we also offer overhead storage racks that hang up and out of the way. Take the time to upgrade your garage, basement, patio, barn, deck, or man cave. 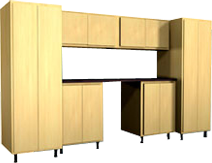 You deserve a Great looking finish of wooden plywood cabinets, and to bring out the floor we offer Polyaspartic Concrete coatings. If you do not want to DIY, we also offer installation on all of our products. Click here to see hour sitemap. Now serving the following and surrounding areas of: Houston, Pasadena, Baytown, Texas, City, Pearland, Galveston, Friendswood, League, Alvin, Santa Fe, Hitchcock, La Marque, San Leon, Bacliff, Seabrook, La Porte, Missouri, Bellaire, Sugar Land, Mission Bend, Cinco Ranch, Katy, Jersey Village, Aldine, Spring, Atascocita, Conroe, The woodlands, tombhall, Pecan Grove, Barrett, Highlands, Mont Belvieu, Brookshire, Galena Park, Jacinto City, cloverleaf, west university place, hunters Creek Village, Four Corners, fifth street, Fresno, Manvel, Danbury, Algoa, Dickinson, Texas, The Magnolia City, The Space City, H-Town.